Have you noticed how when the credits come up at the end of our Afternoon Tea shows, it’s not just the names of the actors we feel are like family, but the producers, writers and directors as well? Roy Clarke, for instance, the comic genius scriptwriter who has given us countless hours of amusement with Last of the Summer Wine, Keeping Up Appearances and Open All Hours. His name is so familiar I feel he should be on my Christmas Card list! Then there’s Harold Snoad. 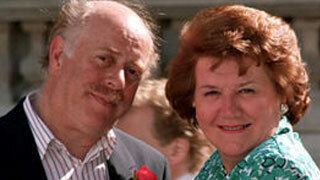 In the hands of a different director/producer, Keeping Up Appearances might have been just another funny show. It was Snoad’s responsibility, though, to cast the show. From the get go, the savvy producer knew that the only person to play "the Bucket woman" was Patricia Routledge. Her skills knew no bounds - she was a classically trained stage actress, and a classically trained singer, who had won a Best Actress in a Musical Tony Award in 1968. Her on-screen roles ranged from To Sir with Love, where she played a teacher, to a café owner in Coronation Street. 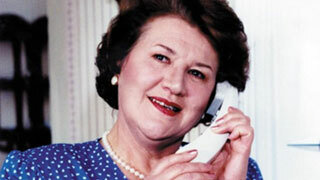 Snoad knew that Routledge was a woman who could do it all and was perfect for Hyacinth. Snoad had actually seen Routledge in a sketch show in 1985 where she’d played a replica of her Hyacinth character - a pompus, middle-class woman called Kitty. When she was approached by Snoad, Routledge didn’t take any persuading. Josephine Tewson, who plays Hyacinth’s nervous next door neighbor, Elizabeth, was a bit harder to get, but finally succumbed to what she calls Snoad’s "charm". "He just talks you into it”, Tewson says, “even though the pay's not that great!" 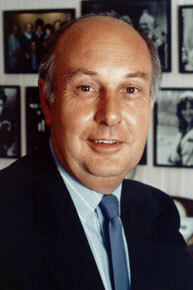 Snoad was also responsible for choosing where the outside filming of the series would take place; Coventry. Hyacinth’s actual house is located on Heather Road in Binley Woods, a small village just east of Coventry and, in case you were wondering, there really is a Chinese Takeaway in the village! (The indoor scenes were filmed at the BBC television studios). Routledge, with Clive Swift as Richard. Since the conclusion of Keeping Up Appearances, Snoad, who turns 80 in August, seems to have hung up his producer/director hat. Instead he has turned his hand to writing and has had several books published about the series we’ve become so hooked on. You can see two of those series weekdays on Afternoon Tea. Are You Being Served? is at 2pm, followed at 2:30pm by Keeping Up Appearances.